Carolyn Johnson is now Carolyn Johnson, Ph.D.! Thanks to her committee Drs. Yi Zuo, Michael Stryker, Patricia Janak and Kevin Bender! 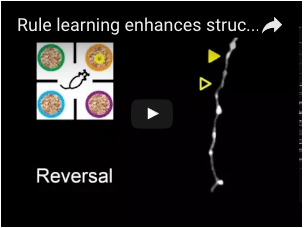 We hypothesized that decision-making strategies in juvenile animals, rather than being immature, are optimized to navigate the uncertainty and instability likely to be encountered in the environment at the time of the animal’s transition to independence. 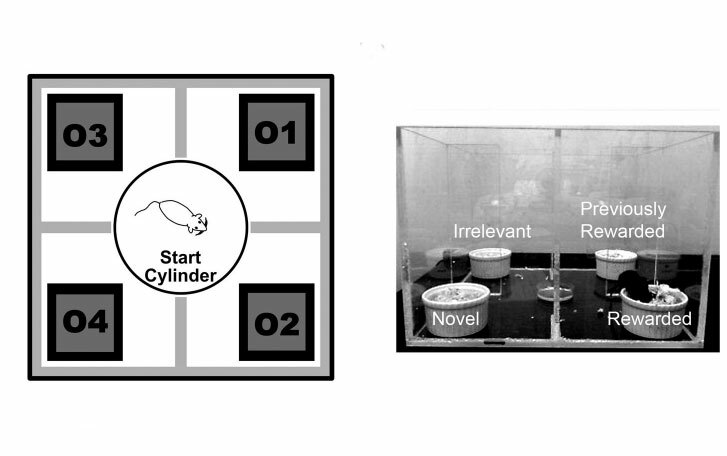 We tested juvenile and young adult mice on discrimination and reversal of a 4-choice and 2-choice odor-based foraging task. 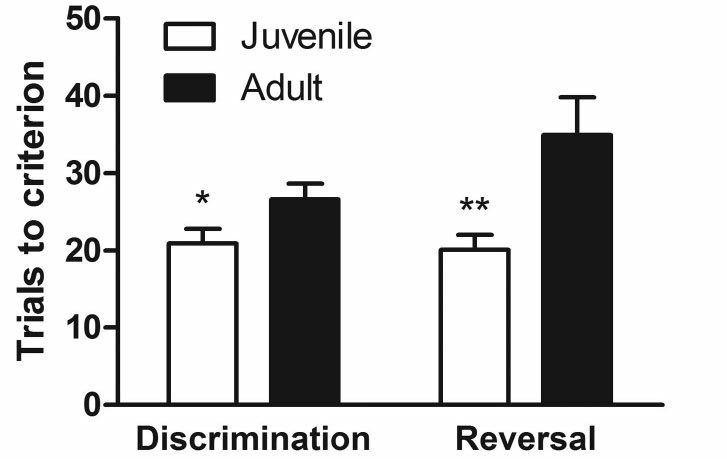 Juvenile mice (P26–27) learned a 4-choice discrimination and reversal faster than adults (P60–70), making fewer perseverative and distraction errors. 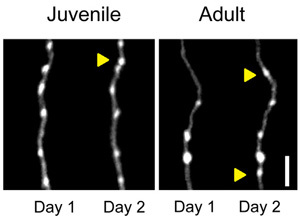 Juvenile mice had shorter choice latencies and more focused search strategies. In both ages, performance of the task was significantly impaired by a lesion of the dorsomedial frontal cortex. 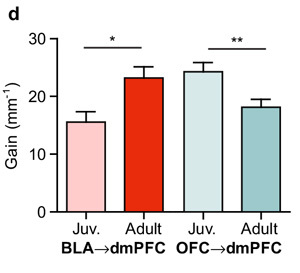 Our data show that the frontal cortex can support highly flexible behavior in juvenile mice at a time coincident with weaning and first independence. The unexpected developmental decline in flexibility of behavior one month later suggests that frontal cortex based executive function may not inevitably become more flexible with age, but rather may be developmentally tuned to optimize exploratory and exploitative behavior for each life stage.